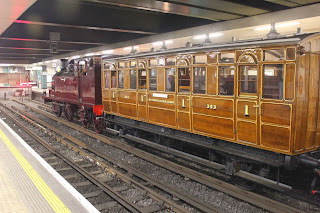 The 4-wheel First Class carriage was amongst the first-ever used on the London Underground and was somehow acquired by an Oxfordshire dairy farmer who used it as a garden shed and out-house (toilet) that he tacked on the end. 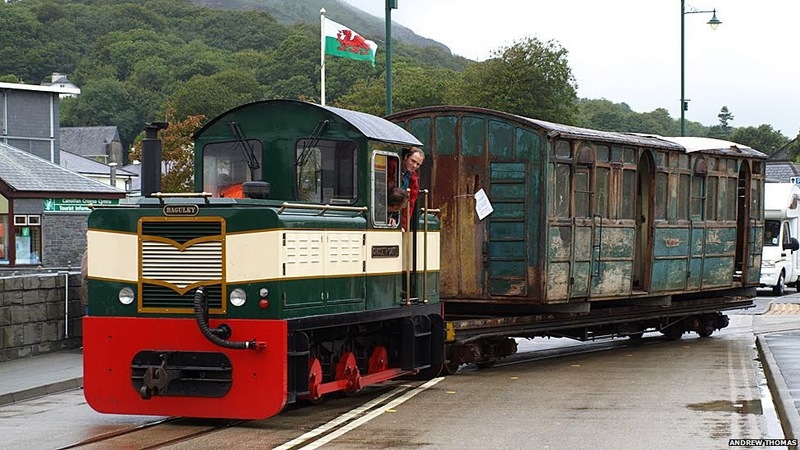 When the farm was muted for redevelopment London Transport Museum heard about the-then dilapidated carriage, and bought and stored it until funds could be found for its restoration – with the British Heritage Lottery Fund, and Friends of London Transport, finally putting up the necessary GBP422,000. The work took 15 months at Wales' Ffestiniog and Welsh Highland Railway workshops at Porthmadog, with its restoration also being used in training of apprentices under master carriage builders – a guild of originally 13th century cart-makers still known today as "carmen." More than GBP700 worth of gold leaf (AU$1,200) was used on the carriage's 1st Class and other hand-worked signs, and while everything from those signs and the velvet seats look just as they did when the carriage was built in 1892, for safety reasons the original gas lights have been replaced with LED lamps in exact-copy frosted gas-light shades. 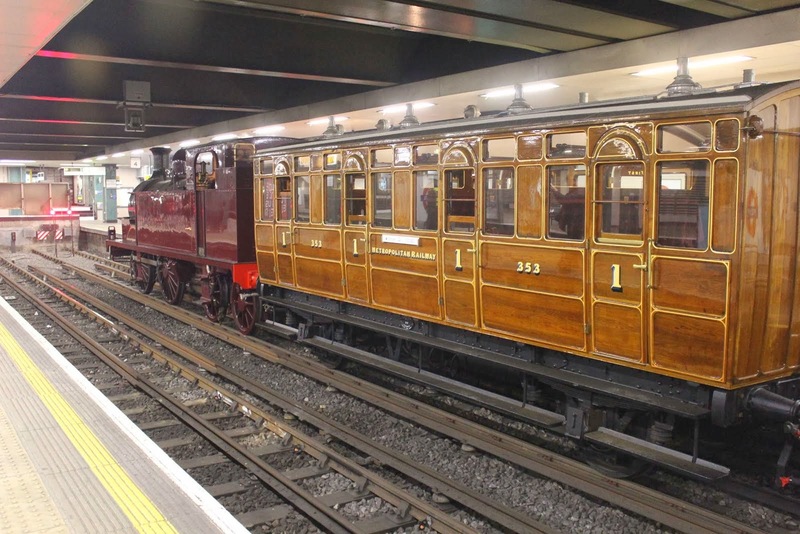 The carriage is on display at the London Transport Museum and will be rolled out for special rail heritage day celebrations elsewhere.